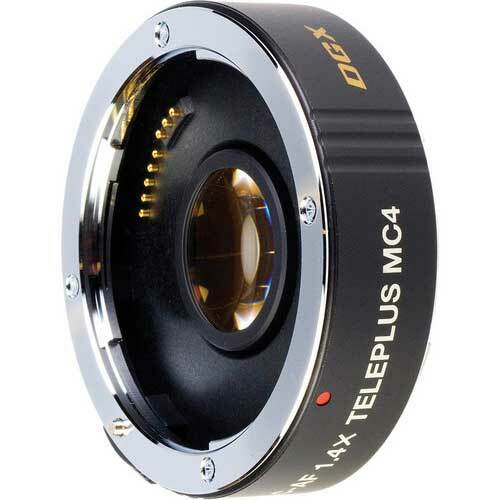 Lens Description: The TelePlus MC4 AF 1.4X DGX Teleconverter for Canon by Kenko gives you the dramatic effect of increasing the focal length of your lens by 1.4x. The MC4 features a 4-element, 4-group design with multi-coated lens elements, and fully automatic diaphragm coupling. With the Kenko TelePlus MC4 DGX your prime lens\' depth of field is reduced by 1/1.4, but retains the prime minimum focusing distance.